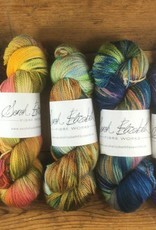 Sarah Elizabeth Fibre Works hand painted eco wash organic merino yarn. Eco wash is a GOTS certified natural enzyme process of creating washable wools without the harsh chemicals that most superwash yarns require. 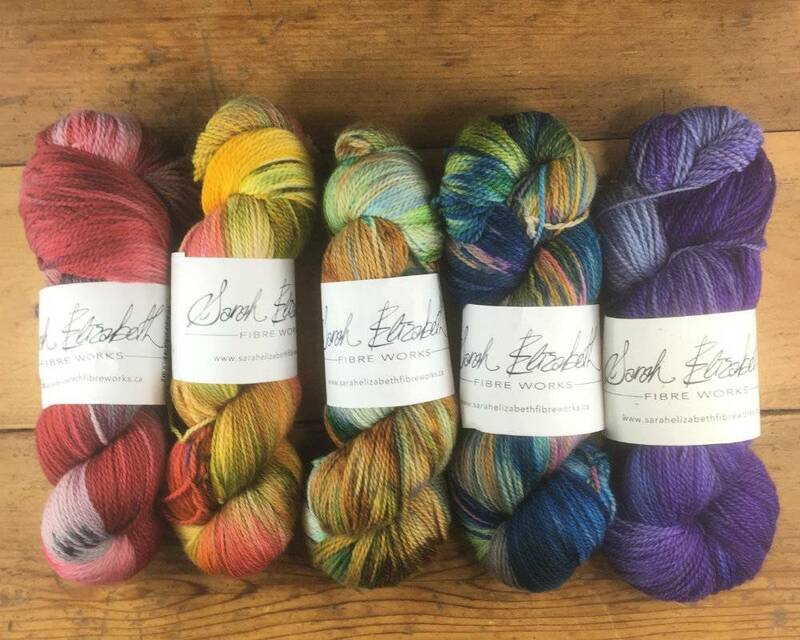 This 100% organic merino is hand dyed using natural dyes.